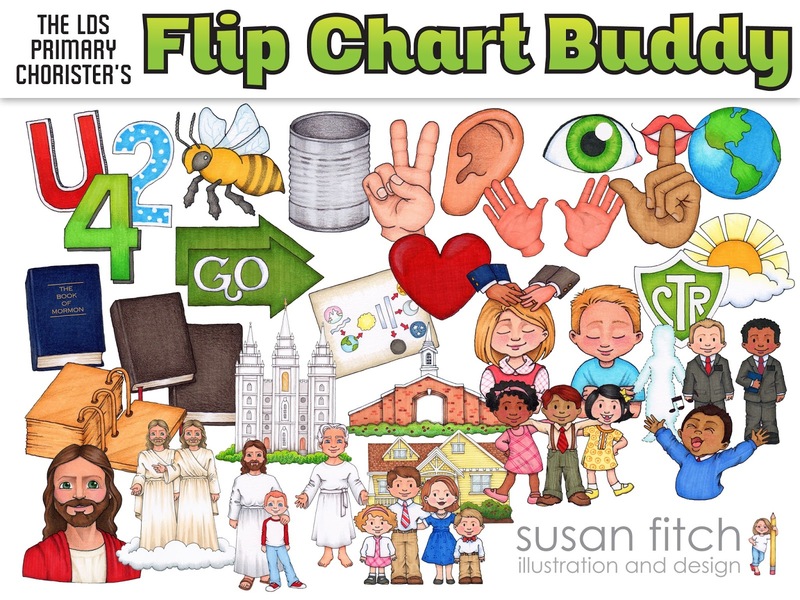 I noticed on Susan Fitch Design's blog that she is asking choristers for suggestions to go in her "Flip Chart Buddy" kit she is currently designing. I typically don't teach songs straight from flip charts in singing time, but there are several times where I need a picture for something and cannot find it from scouring the internet. Whether you teach from flip charts or not, this kit could really come in handy! Anyway, if you've ever found yourself searching for images to help you teach your singing time lesson and come up with nothing, here's your chance for help! Just comment over on Susan's post HERE with suggestions that you'd like to see in her kit! She'll be doing a giveaway when it's completed and you'll also be able to buy it in her Etsy shop. I absolutely love Susan's work and really appreciate the time and effort she puts forth to help us music leaders do our calling! So do yourself a favor and help her help you!